Apple has now announced their next generation mobile OS, Apple iOS 7, which will come with a range of new features that we talked about earlier, one of these new features is an updated iOS App Store. One of the major new features in the iOS App Store will be automatic update, you will no longer have that red symbol on your App Store icon telling you that you need to update a number of your apps. The new iOS App store will automatically update your iOS apps in the background, when you are using the device, this means that the automatic updates will not drain your battery when it is in standby. As well as the automatic updates for apps, apple is also adding a couple of other new features to the iOS app store, which include a location category that will suggest apps based on where you are. 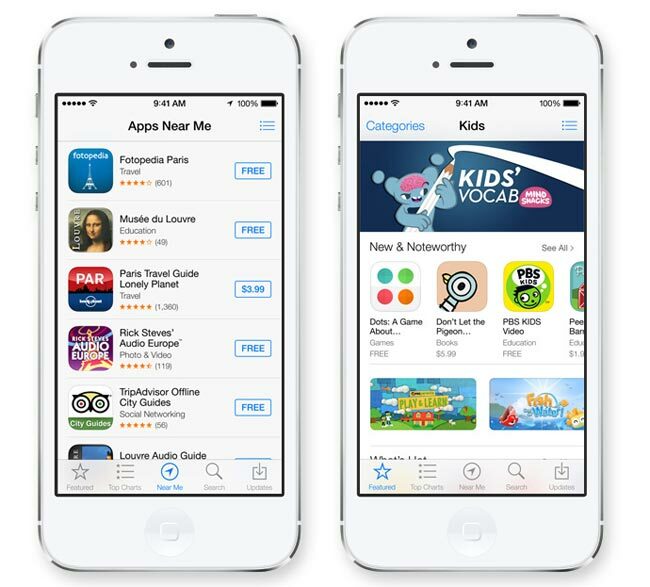 Another new category will be age categories which will suggest appropriate applications for children within a specific age range, all of these new features will be available when iOS 7 launches in the fall.